AMSTERDAM, The Netherlands – Up to 2011 there was a widespread belief that the economic crisis wouldn’t hit the bike sector in Europe. That belief disappeared in a difficult 2012. Weather conditions didn’t help. Spring was wet, summer was late. The result? All signs in the red with one exception: e-bikes. Looking back to the general trends for the bike market in 2012 one conclusion stands out. The signs are in the red, but not a blood red. It’s nothing like what’s happening with cars, motorcycles or scooters. Their 2012 sales showed big double-digit drops by as much as 25% to 30%. Luckily, such extremes didn’t occur in the European bike sector. Before reviewing all the data collected from various sources for this Market Report Europe – from national industry associations, the EU data bureau Eurostat, the European industry association COLIBI and from Bike Europe’s correspondents; there’s one observation that has to be made. It’s about weather conditions. In 2013, the sale of new bicycles is again troubled by a very cold and long lasting winter, as well as a wet and cold spring and summer weather that started (at last!) at the end of the third week of June. It’s the third year in a row with weather hampering sales (2011 had a very wet summer). Is global warming affecting the bike business? And is this something that has to be taken into account for sourcing and logistics planning with the sales season starting later, but continuing longer? 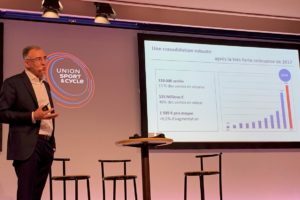 Turning to all the data that is in the tables on these pages; the most important is sales – better said domestic deliveries to all distribution channels in the 27 European Union member states. Those sales dropped, close to 1.3 million units to 18.6 million new bicycles delivered. This is a 6.5% drop compared to the total for 2011. The 18.6 million total includes about 700,000 electric bicycles sold in 2012. This number accounts for 380,000 sold in Germany; 171,000 in The Netherlands and includes an estimated total for all other EU countries. Relating this number to the total EU sales, it shows that e-bikes had a 3.8% market share in 2012. Bike production across Europe dropped and shifted in 2012. The shift to the Eastern parts of the continent was highlighted last year with the move of Pantherwerke from Germany to Lithuania and the Czech Republic. The company follows in the footsteps of Prophete that closed its Gütersloh facility in mid-2011 and shifted production to Romania and India. 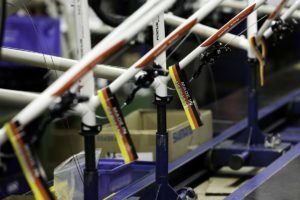 With such major bike makers moving; Prophete produced some 300,000 units in Germany and the Panther International companies some 450,000 units annually; it shows that Germany’s role as a production base for low end bikes is over. The drop in bicycle production stood at 4.2% last year, or close to 11.5 million units. However, when digging deeper in production as well as sales data, it becomes clear that the bike sector in Europe lacks reliable sources. In particular for Eastern European countries. That shows for instance in the 2011 – 2012 sales figure for Poland which in one year supposedly doubled, according to the Polish Bike Association. 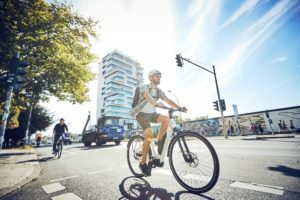 For other Eastern European countries like Hungary, Romania, or Bulgaria, production and sales figures are estimated by Bike Europe correspondents and are related to company reports as well as Eurostat import data. For a more reliable indication on how the European bike sector is developing and coping with the economic crisis, we concentrated on Europe’s five biggest bike markets. Germany, Italy, France, United Kingdom, and The Netherlands all have industry associations that provide statistical insights in the sector they represent. The five named countries account for 70% of all EU-27 sales; 56% of the production and 67% of all the imported bikes from outside Europe. With that their combined KPI reflects the European situation regarding the bicycle industry in 2012. When comparing the combined figures for all 27 EU markets with the ones for the five biggest bike countries, this is the result: overall EU sales dropped 6.5% compared to 4.7% for the major markets. Production dropped 4.2% in the whole of the EU and 5.7% in the five nations while the total EU bike import from countries outside Europe dropped 4.1% in 2012 compared to 2.8% in the five main markets. So, the differences are limited. 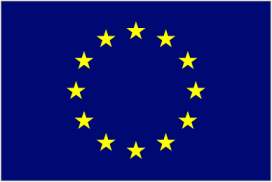 The European Union member states imported a total of 8,162,090 bicycles from countries outside Europe in 2012, according to data bureau Eurostat. This number is down 4.1% on the total for 2011. The average value per imported bike increased significantly however – a big 35.3% to € 132.30. Is this an indication that the market is turning towards higher quality models? 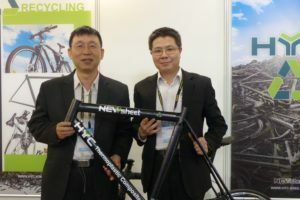 Or are the more expensive e-bikes included in the figures, despite the fact that their import is now tracked through a different CN Code that sets them apart from regular bicycles? 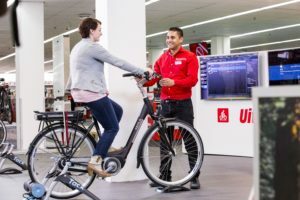 It’s anyone’s guess and indicates once more that Europe’s € 40 billion bike sector is in need of an improved sales tracking system.